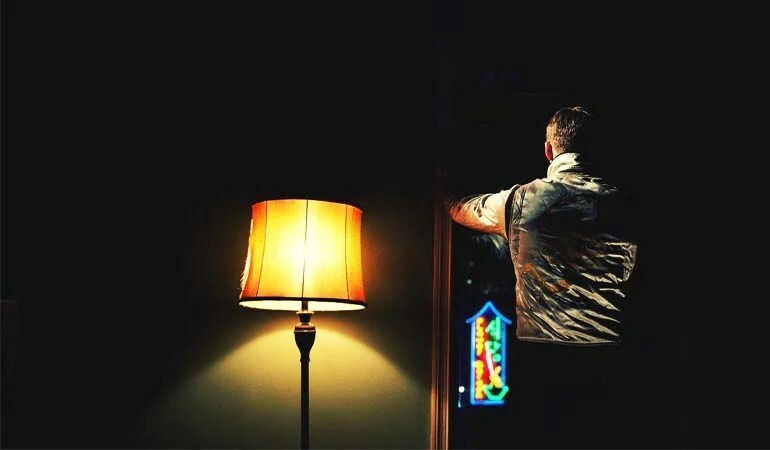 Back in 2011, I fell in love with a neon-lit neo-noir heist film starring Ryan Gosling as a cool, calm and often mute hero. The nameless enigmatic Driver, a loner by nature, who works as a stunt car driver for the movies by day and a getaway driver for mobsters by night personified cool. Like just about every fan of Drive, I wanted to get my hands on the popular blood-soaked jacket he wore throughout the film. And now, after years and years of patiently waiting, thanks to USA Jacket, I’ve finally managed to get my hands on that Drive Scorpion jacket I’ve always wanted. Every iconic star has a look or costume that ascends them from being an average actor to an icon symbol of cool. For Harrison Ford, it was Han Solo’s vest. For Malcolm McDowell, it was his costume in A Clockwork Orange. For Tom Hanks, it was those iconic Nike sneakers in Forest Gump. 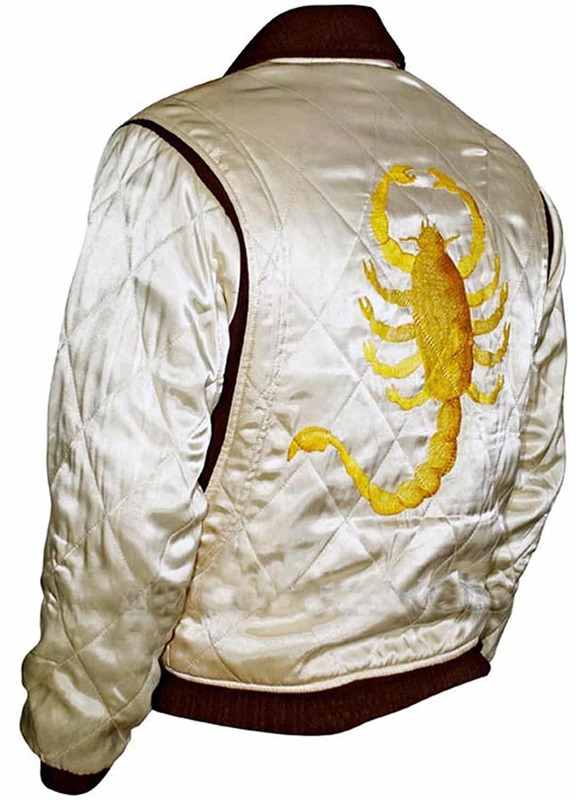 For Ryan Gosling, it’s the super cool silk jacket with an embroidered scorpion on the back he wore in Drive. Costume designer Erin Benach custom designed the jacket for the film – which apparently took months to perfect. Before receiving my order from USA Jacket, I was really concerned about the quality of the actual jacket. When you look at it in the film, it has a very specific look and I’ve seen a few knock-offs that don’t get the colours and quality quite right. Much to my surprise, upon opening the package, I was pleased to see the weaved white coloured Satin fabric and the perfectly replicated Scorpion logo all intact. In fact, after watching the film again, I could barely tell the difference between the two bomber jackets. It’s really well made and the designers have clearly taken the time to replicate the finer details of the jacket too – quilted scheming, rib knit structures, and waist pouches. This is not a poor imitation. What’s more, the jacket is remarkably warm and fits really well. The shocking colours and glossy look, with golden and yellow thread, will make sure you stand out from a crowd. If you’re a fan of the film, this is a must-have.